Culley Street reclaimed oak flooring is highly sought after for its uniformity within a very natural product. Milled smooth from salvaged barn board, the boards are hand selected for naturally darker and even tones. Although there is color variation, that variation is within a smaller range; leaning to the darker side of what the natural barn board has to offer. All barn board products will have nail holes, color variation, and natural sound checking. Tom Bingham’s great-grandfather and great-uncle got the family started in the wood industry on Culley Street in Fitchburg, MA owning and operating a wood-turning shop and custom wood shop. The highly custom floor with a particular grading specifications reminds us of the custom work done on Culley Street back in “the day”. 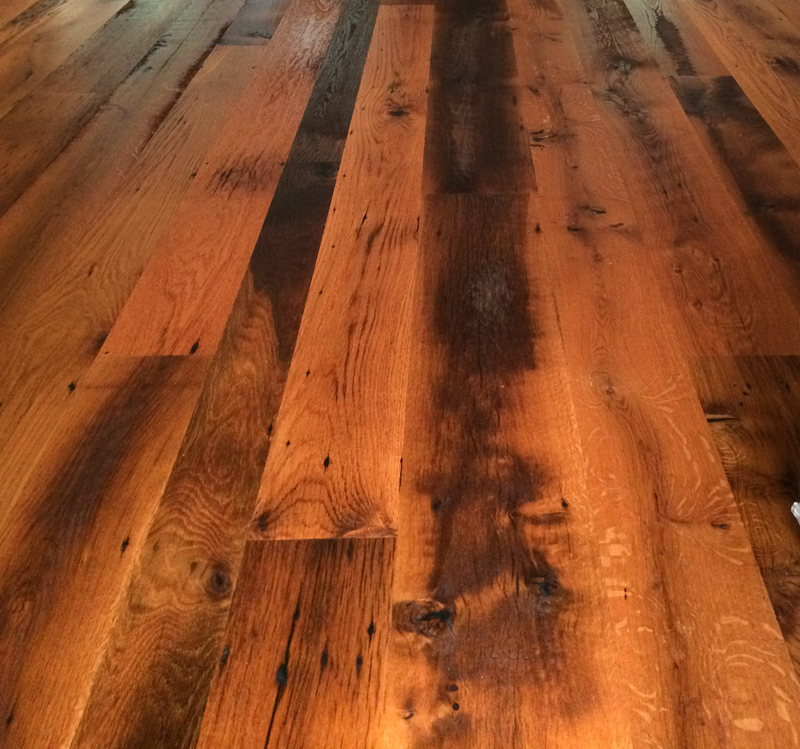 The Bingham Culley Street custom flooring features reclaimed oak barn board. Barn board is found throughout a salvaged barn in mainly three areas; siding, loft boards, and interior partitions. Barn board that was exposed to the natural heat and the elements has aged overtime creating not only unique coloring, but one of a kind textures. The oak barn board is found from the mid-Atlantic states right up through the Ohio River Valley. Bingham values the long time relationships with other small family run businesses to source and reclaim the finest materials our salvaged barns have to offer.